RBI stands for the Reserve Bank of India,which is the national central bank of India.RBI is authorized to release the notes of various denominations in India.RBI is authorized to give bearer the right of doing the expanses with the Indian rupees.India using the currency of Indian rupees which is designed and issued by RBI. Governor of RBI which is Urjit Patel. 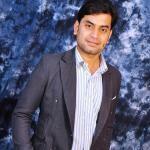 News on Wednesday 22 January 2014 that RBI passed the new regulations for rupees of 500/- and rupees of 10/-. Rupees of 500 having no year printing on the back bottom space will not allowed in the market.RBI issued guidelines to all nationalized bank .All nationalized bank will allow to exchange those 500 rupees notes with missing year print from April 1 2014.If you have 500 rupees notes with missing year print than quickly exchange it in your home branch of your bank. You can also exchange in another bank but if you exchange more than 10 pieces of 500 notes than you have to submit your identity proof to the bank.If you are exchanging in your home branch than no extra work to do.RBI allowed the all nationalized bank to do so. So hurry up save your valuable big currency notes of 500 rupees. According to the news on Hindustan times on 23rd January 2014 that ten rupees notes with missing print of year must be exchanged in the near home branch of bank.10 rupees notes having the missing year printing will not allowed in future. So exchange it in the near by bank. Rupees having the missing latent image will not allowed.On the note of Indian rupees a vertical band on the right side of the Mahatma Gandhi’s portrait contains a latent image showing the respective denominational value in numeral. The latent image is visible only when the note is held horizontally at eye level. See the below chart to check what is latent image? Rupees having the missing Ashoka lion mark on the notes.The portrait of Mahatma Gandhi, the Reserve Bank seal, guarantee and promise clause, Ashoka Pillar Emblem on the left, RBI Governor’s signature are printed in intaglio i.e. in raised prints, which can be felt by touch, in Rs.20, Rs.50, Rs.100, Rs.500 and Rs.1000 notes. Your notes will be considered as fake if you have error of missing of identification marks on the notes.A special feature in intaglio has been introduced on the left of the watermark window on all notes except Rs.10/- note. This feature is in different shapes for various denominations (Rs. 20-Vertical Rectangle, Rs.50-Square, Rs.100-Triangle, Rs.500-Circle, Rs.1000-Diamond) and helps the visually impaired to identify the denomination. 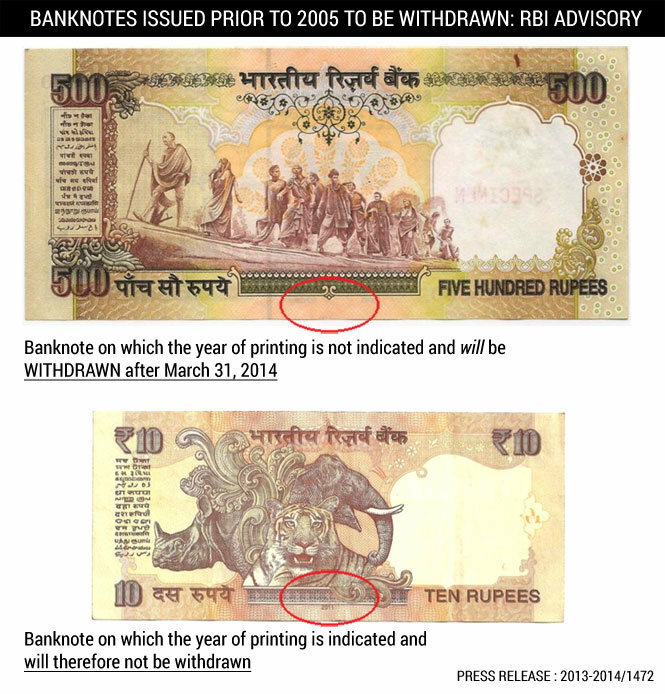 RBI introduce the new features to stop the fake notes supply in the market.RBI introduced the variable inked denomination value printing on the note.The numeral 1000 and 500 on the obverse of Rs.1000 and Rs.500 notes respectively is printed in optically variable ink viz., a color-shifting ink. The color of the numeral 1000/500 appears green when the note is held flat but would change to blue when the note is held at an angle.